Dr. Carol Harle leads the charge in Harlandale Independent School District, using daily attendance data to improve third-grade reading. It’s a familiar scene: the teacher standing at the head of the class, calling names or counting heads against a roster. “Here,” one student calls. “Present,” another. Taking attendance is a ritual, a routine, a practice so ingrained it runs the risk of simply being done because it must be, without thinking about what those numbers really mean. And how they impact student success. 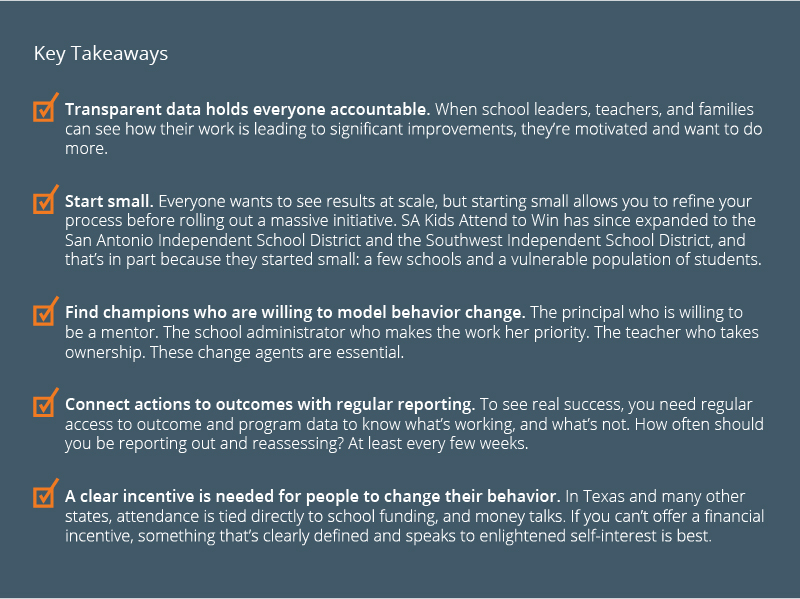 When the administration in Harlandale Independent School District in San Antonio, Texas, wanted to improve third-grade reading results, they saw a way to use small data to address big challenges with the guidance of community partners and local cradle-to-career partnership P16Plus Council of Greater Bexar County. 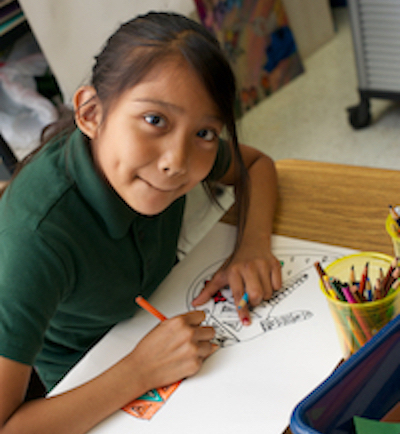 Harlandale serves more than 15,000 students, nearly 90 percent of whom come from economically disadvantaged families with unique barriers to regular attendance. Numerous studies have shown a correlation between school performance and attendance, but often the test results come back too late to make a difference. Third-grade reading data takes a year to get back, but attendance data is regular and can be used to make changes within weeks of the start of the school year. Attendance also means funding, lost or gained, for many school districts, including Harlandale. Every time that a student is absent, a school loses funding. By getting students back into the classroom, Harlandale saved their district nearly $600,000 in 2015 alone, ensuring not only the success of the program, but also its sustainability. “With San Antonio Kids Attend to Win, we helped Harlandale schools focus on chronic absence, rather than average daily attendance,” says Jessica Castañon Maurer, director of community partnerships with P16Plus. Chronic absenteeism is defined as missing 10 percent or more of expected school days. It was clear within weeks of the start of the school year which children were on track to be chronically absent, and the administration could immediately get supports in place to get them back into the classroom. Mentors would check in with students daily, incentives were offered, attendance data was regularly shared with staff, students, and families, and chronically absent students were assigned a case worker. There was a shift in focus to the individual student, rather than average attendance. Just as single students benefitted from a rallying of resources, there was one individual on the ground in schools making this initiative a priority. Dr. Carol Harle, Harlandale’s assistant superintendent for curriculum and instruction, insists that her “mom voice” stressing the importance of looking at attendance data in a new way would have gone unheard without the support of P16Plus, social workers, counselors and teachers and administrators within her district. But the data brought everyone together around a group of students who were chronically absent. And if the results are any indication, Harle was heard. As of 2015, Harlandale Independent School District and the San Antonio Independent School District — whose schools the SA Kids Attend to Win initiative has grown to include — saw 72 percent or 2,327 of their chronically absent students improve, and 44 percent or 1,425 were no longer chronically absent by the end of the year. Teachers were trained to pull down attendance data daily and to receive data from their central office, as well. They began attendance committees and invited parents and community members to contribute to intervention plans for chronically absent students and step up as mentors. Because the success of the initiative relied so heavily on regular data reporting and analysis, Harle created a position, a data information and reporting coordinator, expressly to share this burden with administrators. The coordinator has streamlined the process, responds to individual requests and gives a general presentation every six weeks to schools to give them a clear picture of where they are and where they’re headed. Harle worked with each of the schools within her district to craft a plan that honored each school’s needs. If a principal couldn’t make it a priority, Harle did, stopping by their campus to work out a plan together. Harle made it a point to make sure that schools understood this wasn’t something they were just being told to do, but an initiative in which they could take a personal, active role. In one high school, a principal assigned himself to be the mentor of a chronically absent student. In another, gas cards were offered to help parents with getting kids to school. 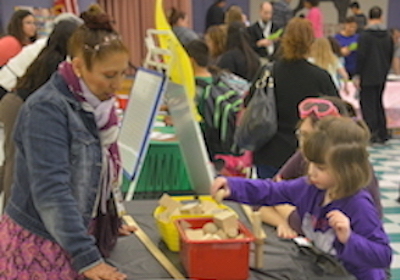 Some schools chose to buy technology because it was a real need in their community, while others would offer pizza parties, field trips or books to students. In the case of one middle school that wanted flexibility to reward the adults who were doing the hard work of getting students in the classroom, teachers also were incentivized to be more proactive about addressing chronic absenteeism. As a result of teachers and administrators changing how they look at and utilize attendance data, Harlandale has experienced a cultural shift around school attendance that Maurer sees as pivotal. Harle’s optimism and enthusiasm for the initiative has been, according to Maurer, “infectious.” And Judy McCormick, executive director of P16Plus, stresses that Harle’s commitment to regular reporting and accountability creates a level of transparency that ensures future success and growth of the program. Regular presentations to the school board and superintendents makes it clear that the changes to their attendance process have resulted in real cost savings for the district, which translates to wins for students and for the community. Every September in San Antonio is attendance month, and this past September one Harlandale alum had the chance to share his story. He’d been a chronically absent student, but with a staff mentor checking in on him, and other staff expressing their interest and concern as well, he was able to graduate on time. “He was really able to turn it around because there was someone on that campus who cared about him,” says Maurer. Like her teachers and administrators, Harle will keep on caring, too. P16Plus Council of Greater Bexar County is a Sustaining member of the StriveTogether Cradle to Career Network, a national network of communities working to improve education success for every child through a data-driven, quality collective impact approach. P16Plus operates through the civic infrastructure that provides four pillars for achieving cradle-to-career collective impact: shared community vision, evidence-based decision-making, collaborative action, and investment and sustainability.